The Iowa Economic Authority’s (IEDA) mission is to strengthen economic and community vitality. They do this by building various partnerships and leveraging the right resources to make Iowa the number one choice for people and businesses. Through their two main divisions – business development and community development – IEDA administers multiple state and federal programs that helps them meet their goals of assisting communities, businesses and individuals. Advanced Manufacturing is one of the three key focuses of the department. The Iowa Area Development Group has built a strong track record of success over the last 30 years, serving businesses interested in locating or expanding within the member-owned and municipal electric service areas of Iowa. IADG has assisted 2,000 expanding companies invest over $10 billion in new locations and expansion. The IADG staff takes pride in providing timely and accurate and confidential assistance to support specific project needs. Whether leveraging funding opportunities; locating available sites and buildings; providing technical assistance and information; or working through unforeseen developments; IADG staff and partners will be with your organization every step of the way. Serving as a unified voice for business since 1903, the Iowa Association of Business and Industry (ABI) nurtures a favorable business, economic, governmental and social climate within the state of Iowa. They have held to this mission so citizens have the opportunity to enjoy the highest possible quality of life. ABI’s strength is in its size: ABI is Iowa’s largest statewide business organization with more than 1,500 member companies representing 330,000 working Iowans. ABI’s staff, members and volunteers strive to fulfill our mission each day in four distinct ways: Advocate, Collaborate, Educate, and Motivate. Elevate Advanced Manufacturing is a statewide, integrated marketing campaign that helps promote careers in the manufacturing industry through various techniques. Building a positive perception of careers in manufacturing is Elevate Iowa’s mission. They complete this mission by addressing the various misconceptions about the work environment, safety and wages of the manufacturing industry. 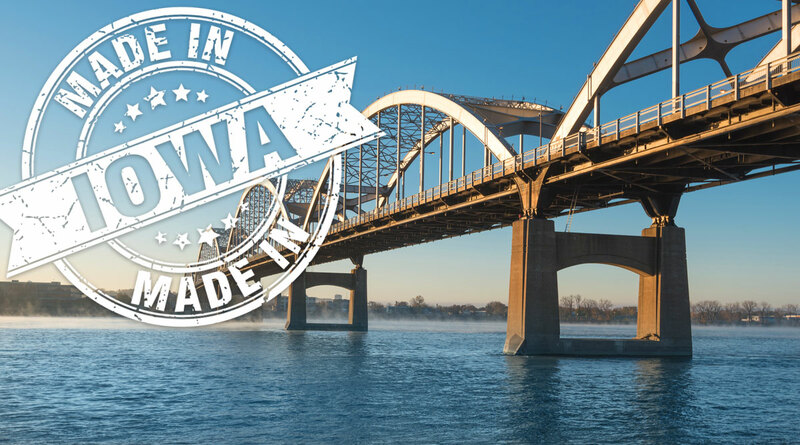 Established in 1981, America’s SBDC Iowa (SBDC) provides no cost, confidential, customized, professional business advice in all 99 Iowa counties to entrepreneurs and existing businesses. Their workshops teach practical business skills and techniques. They also conduct research and provide information services, as well as provide subject matter experiences in a variety of fields. CIRAS has delivered proven services to enhance the performance industry since 1963. With focuses on engaging, educating and embedding real improvements, they have created a specific solution that allows each business to prosper and grow. They couple this with a satisfaction guarantee, and their typical client has achieved a 200% return on investment. We hope that if you have not already discovered these resources, you connect with them and see what they have to offer. We have our own thoughts on how you can grow revenue, find workforce, and save money using the power of digital that we have captured in our book, Run, Grow, Transform: A Manufacturer’s Guide to Digital Marketing which we hope you might also find valuable. To celebrate Manufacturing, Steve and I are giving away free copies of our book throughout October. Order your free copy of Run Grow Transform, a manufacturer’s guide to digital marketing.